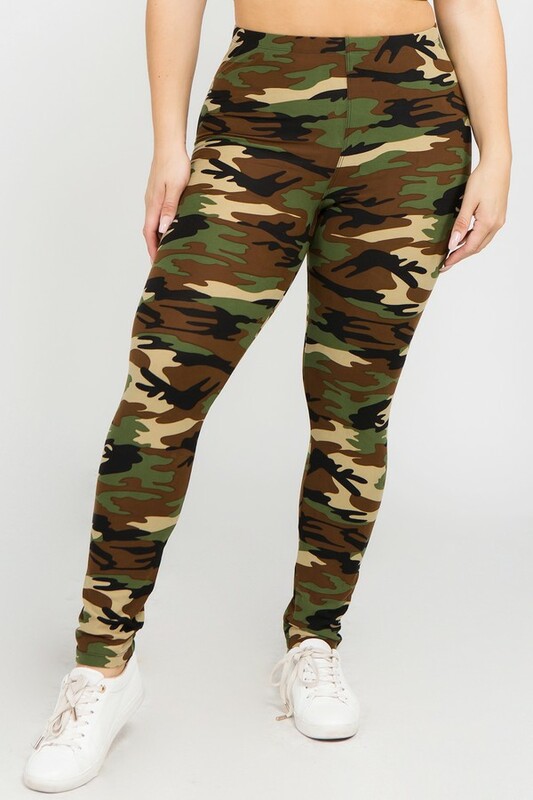 Detail Description: Cute in camo! 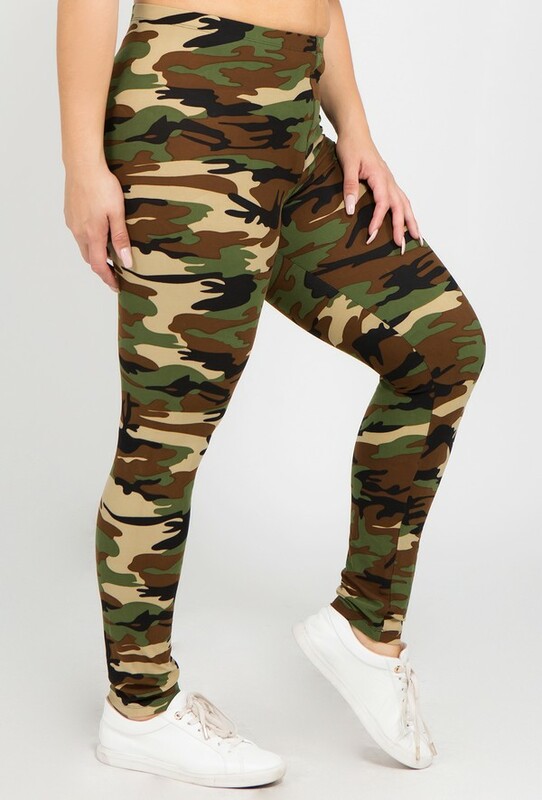 A pair of camouflage print leggings, featuring a stretch-knit fabric with a classic camo print look that's sure to please! 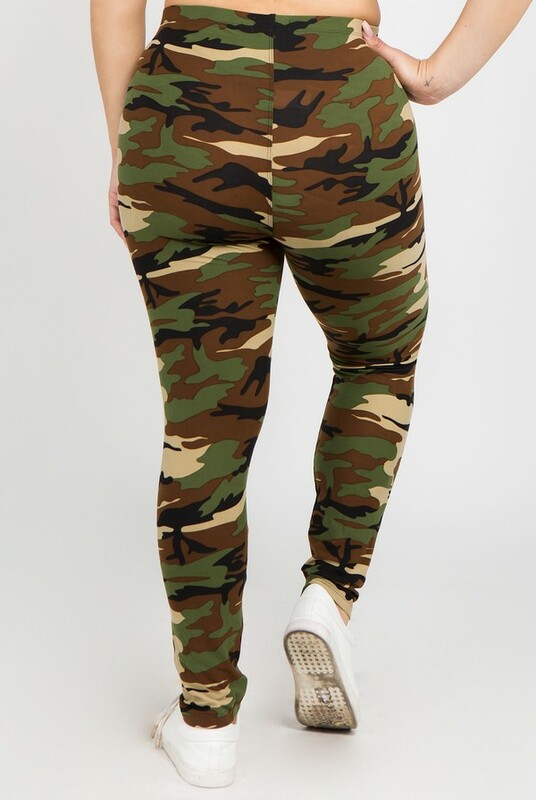 Leggings are made with a banded waist, body-hugging fit, and finished hem at the ankles.